I feel stupid just for reading that gooseberry fool. Even the Chinese can’t explain it!!!!!! Even Chinese and foreign experts? strawberry float me, this needs national attention! Preezy wrote: Didn't work for me. You’ll have to wait another 1000 years. I imagine people who are both "foreign" and "experts" are probably the most hated group of individuals amongst the Brexit loving community. Worked for me. That proper bo, I tell thee. Anyone else Facebook android app constantly crashing when trying to open it? evanswolves wrote: Anyone else Facebook android app constantly crashing when trying to open it? Facebook's new terms and conditions came into effect today. If you didn't share a post that arrived on your timeline accepting the new terms then you'd be deleted off Facebook and IP blacklisted permanently. The app is crashing because you don't have a Facebook account anymore. You were warned! The poppy stuff is starting again. 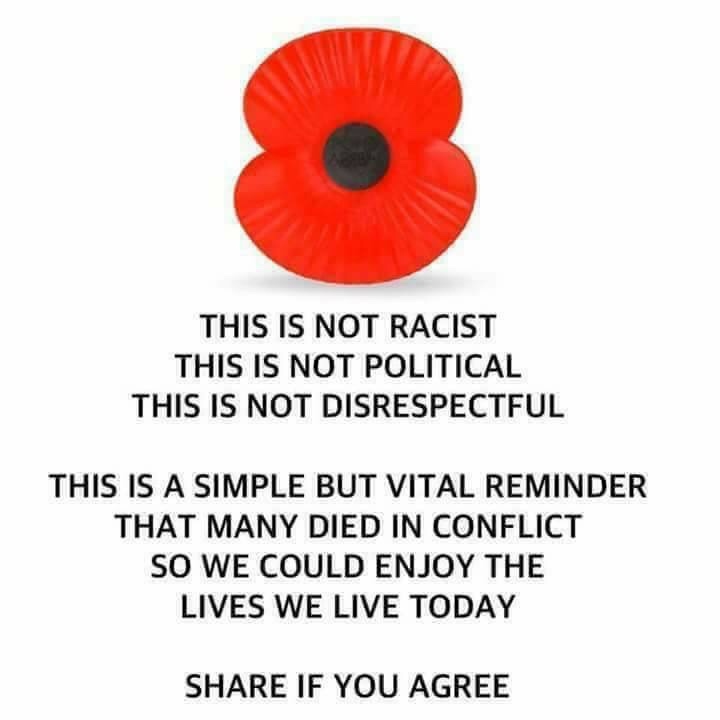 I just say 'I know it's not racist, but I personally feel uncomfortable wearing one due to the iconography of the poppy being adopted by right wing media and other hateful propoganda'. That usually shuts them up. Moggy wrote: The poppy stuff is starting again. Philip Schofield pointing and laughing at the Twin Towers would be my first port of call. more heat than light wrote: I just say 'I know it's not racist, but I personally feel uncomfortable wearing one due to the iconography of the poppy being adopted by right wing media and other hateful propoganda'. That usually shuts them up.